After watching the power struggles of the boys' 18s on Monday, it took me a bit to adjust to the slower pace of the 12 and under girls at The Polo Club. Once I did, I realized that the level was far from low considering the age bracket I was in. The weather around me has still remained hot, humid and rain-free, only the latter of which is unusual for Florida this time of year. The girls were starting bright and early. I headed right over to see the top seed, Sofia Kenin who was rolling over 17-32 seed Victoria Flores. 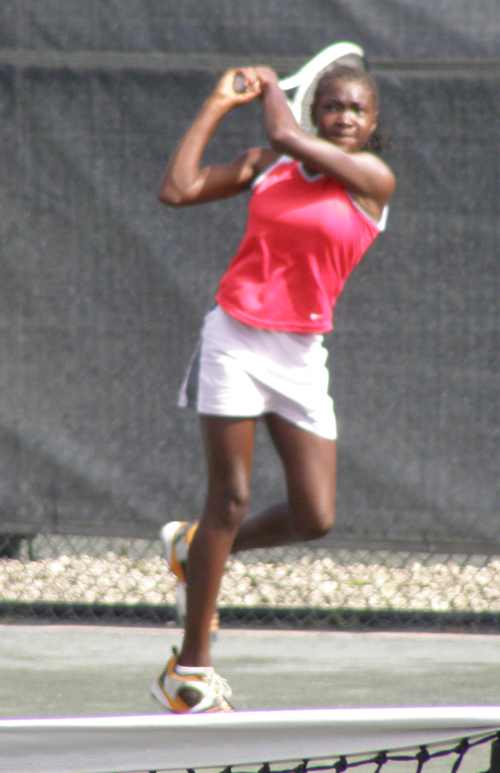 I was quite impressed with Victoria's footwork and was also happy to see she seemed comfortable going to net. In fact, I saw a lot of that from the girls' 12s this year, making it a much more interesting age group to watch than it has been in the past. 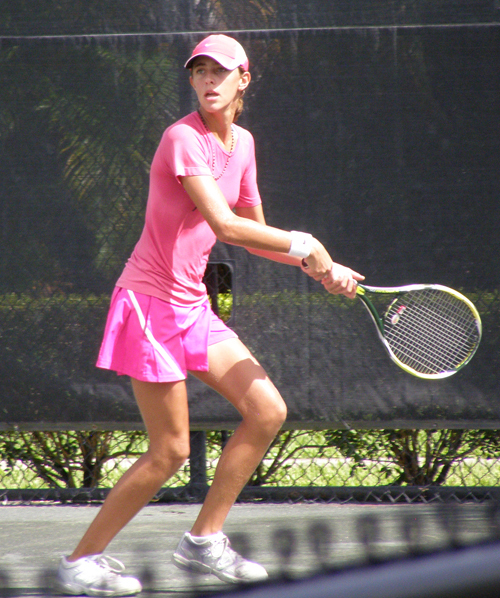 Despite the 6-1,6-2 score for alpha seed Kayla Day's win over No. 14 Zoe Spence, there were some nice points between the two. 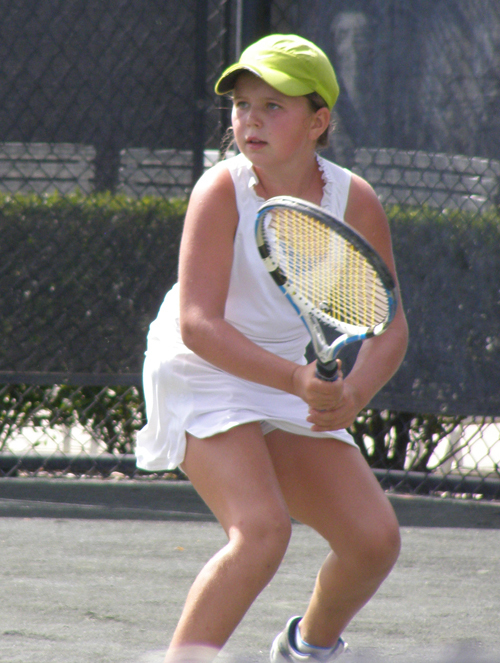 It was a close match with long ralleys with Usue Arconada (4) prevailing over Abigail Chiu. I also got to watch some of the exchange between Paris Todd (3) and Adriana Ream (17-32), which was a three-setter with an itneresting 6-4,2-6,6-2 score that explained the back and forth match. Star Makarone, who has only lost three games the entire tournament, shut out 17-32 Megan Horn in a match I couldn't get to fast enough. 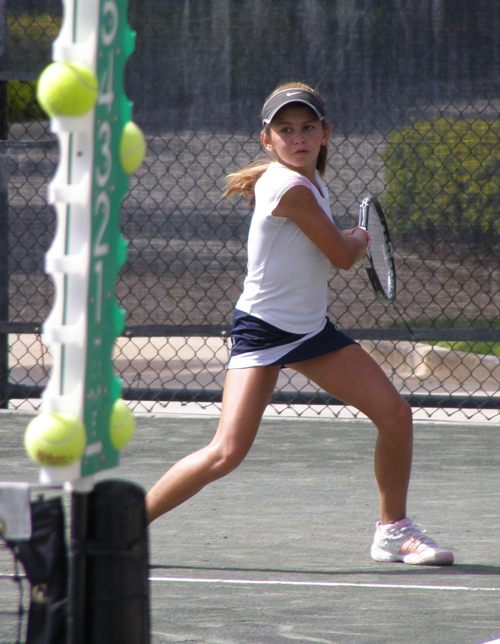 There were no upsets in the third round of the girls' 12 Claycourts. 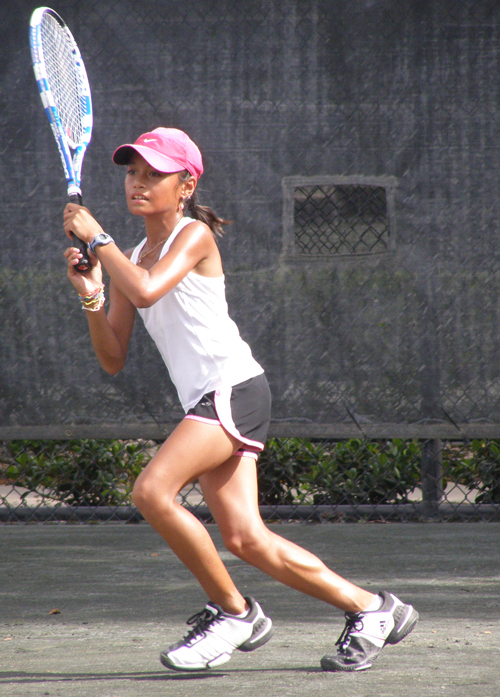 Only one unseeded player will head into the round of 16 -- Valerie Quicenco. I will be back to check out the quarterfinals at the end of the week. I made it back to the boys' 18s for a bit in the afternoon. Unlike the girls, the seeds were having some trouble out there. Justin Crenshaw (17-32) fell to Dante Terenzio and Robert Stineman beat Quoc-Daniel Nguyen (17-32). No. 16 Jose Martinez squeaked through when Quentin Vega was forced to retire at 4-4 in the third after an exciting first two sets. Not so lucky was No. 6 Eric Song, who dropped in straight sets to Ross Guigno, while alpha seeds Jamin Ball, Ashok Narayana and Augie Bloom lost in three. No. 14 Anton Kovrigin and No. 10 Jackson Winthrow did not surive round three either. There are now more unseeded players in the round of 16 than seeded ones. 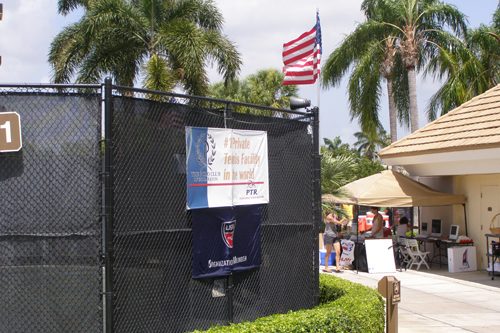 Wednesday is boys' 14s day for me and I'm looking forward to watching the action in Fort Lauderdale.